According to the report of multinational research institutes, the overall market investment of China's<5>5G industry will exceed US$1 trillion in the next five years. The arrival of the 5G era will greatly promote the rapid growth of consumption in related markets such as electronic chemicals and specialty resins. As the "reinforced concrete" in the electronics industry, the market for copper-clad laminates (referred to as copper clad laminates) is welcoming a new round of explosions. The special resin for copper-clad laminates, which accounts for 1/4 of the raw materials, has become an urgent need for the petrochemical industry. One of the technologies. The performance improvement of CCL depends largely on the choice of specialty resins. On the basis of traditional copper clad laminates requiring high purity, low hygroscopicity and certain mechanical properties of epoxy resin,5G copper clad laminates have higher requirements for epoxy resin, such as high heat resistance, low water absorption, low dielectric, good weather resistance, and environmental protection. high heat resistance depends on high glass transition Temperature (Tg), the Tg of common FR-4 copper clad laminates is between 130 °C and 140 °C, and there are several processes in the PCB process that exceed this temperature range. Therefore, how does high Tg epoxy resin increase the heat resistant skeleton or increase the crosslink density? The development of multifunctional epoxy resins is very important for the development of copper clad laminates. FR-4 CCL is a bifunctional brominated bisphenol A epoxy resin. In order to increase the Tg of the matrix, it will be added to the Norfolk epoxy resin. Due to the structure containing polyepoxy groups, the Volk epoxy resin can significantly improve the heat resistance of the substrate, but the product is more brittle and has poor adhesion. It is generally not used alone in the production of epoxy resin copper clad laminates. In addition, phenolic epoxy resin, biphenyl type, naphthalene-containing epoxy, etc. have also been applied in a certain range in high Tg. low dielectric constant is also an important factor for copper clad laminates index. The lower the dielectric constant of the substrate, the faster the signal propagation speed. To achieve high-speed propagation of the signal, a low dielectric constant plate must be used. However, the dielectric constant of epoxy resin for FR-4 CCL is high. It is difficult to meet the use of high frequency lines. Teflon is mostly used in high-frequency lines. PTFE has excellent dielectric properties, but it has poor processability compared with epoxy resin. Poor overall performance and high cost. Although the epoxy resin has a high dielectric constant and a dielectric loss tangent, it has the advantages of good processability, excellent comprehensive performance, reasonable price, and sufficient supply.If a modified method is introduced into the epoxy resin structure to introduce a group with a small polarity and a large volume, the dielectric properties of the resin can be improved, and the modified epoxy resin may become a cost-effective high. Frequency material. Introducing an alkyl group in an epoxy resin structure or reacting an alicyclic modified phenolic resin, a cyanate resin with an epoxy resin, or An epoxy resin having a lower dielectric constant can be obtained by etherification of an epoxy resin or the like. In terms of environmental protection, traditional copper clad laminates pass The brominated epoxy resin and the halogen-containing curing agent in the glue realize flame retardancy, wherein the bromine content in the epoxy resin is about 12%-50%. Since the EU RoHS Directive prohibits the use of polybrominated biphenyls and polybrominated diphenyl ethers in electronic products, it has also been found that brominated flame retardants release substances harmful to the human body and the environment during combustion. Therefore, in recent years, electronic complete machines have proposed no copper clad laminates. Halogenation requirements.The development of halogen-free flame-retardant copper clad laminates has become an important issue in the industry. In addition to the elemental halogen elements with flame retardant function, elements such as N and P of the V group can also be used. Experiments have shown that the introduction of N and P elements in the epoxy resin system, together with appropriate flame retardant additives, can also achieve satisfactory flame retardant effects. Phosphorus-free, nitrogen-free and halogen-free flame-retardant epoxy resin will become a major demand for CCL applications, and it is expected to be achieved by the self-flame retarding function of epoxy resin itself or by adding inorganic flame retardant components. In addition, silicone Modified epoxy resin is also used in the non-halogenation of copper clad laminates. China's research on epoxy resin started earlier. In addition to the production of ordinary bisphenol A epoxy resin, various types of special epoxy resins are also produced. In recent years, Chinese related companies have also made some breakthroughs in the use of special resins for CCL. Shengyi Technology is the most complete company in China's CCL category, but still produces various FR-4 and CEM-1, CEM-3, etc. Composite copper clad laminate products, with a number of high-frequency, high-speed product systems. In 2016, Shengyi Technology invested in the establishment of special materials in Jiangsu Province. It is expected that the production capacity of PTFE materials will reach 88,000 cubic meters per month. 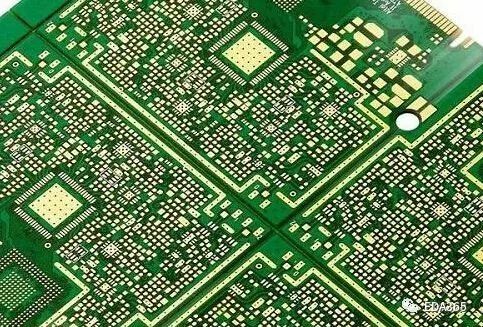 In the 5G cycle, Shengyi Technology will realize the localization of high-frequency/high-speed plate scale through the combination of downstream equipment manufacturers and local PCB processing leading manufacturers through cost advantage. In addition, the reporter also learned that the quality of the pilot products developed by the epoxy resin department of Baling Petrochemical Co., Ltd. using its independently developed DCPD phenolic epoxy resin is stable. With low dielectric constant and low dielectric loss tangent, it has passed 5G product testing by many 5G communication manufacturers. The industrial conversion of the DCPD phenolic epoxy resin product has begun and is expected to be completed by the end of this year. ●The application is dazzling, and BLDC's four major programs hit the world!